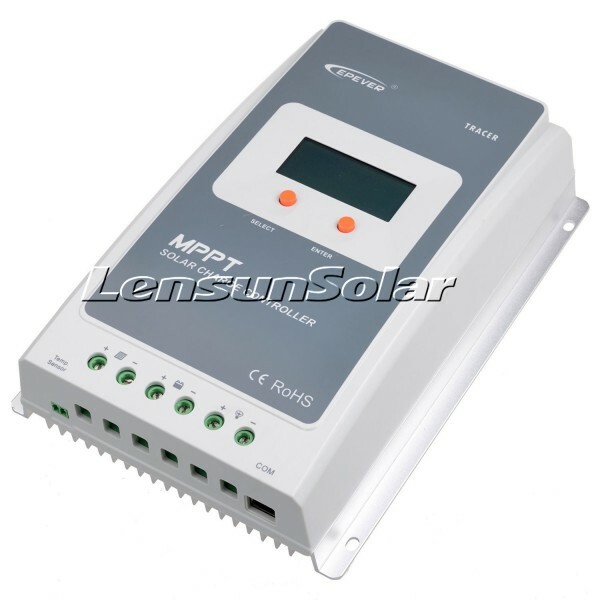 Another benefit of MPPT technology is a wide solar input voltage range - this controller can work not only with standard off-grid 12V/24V solar panels, but also with on-grid panels or solar panel arrays up to 100V. 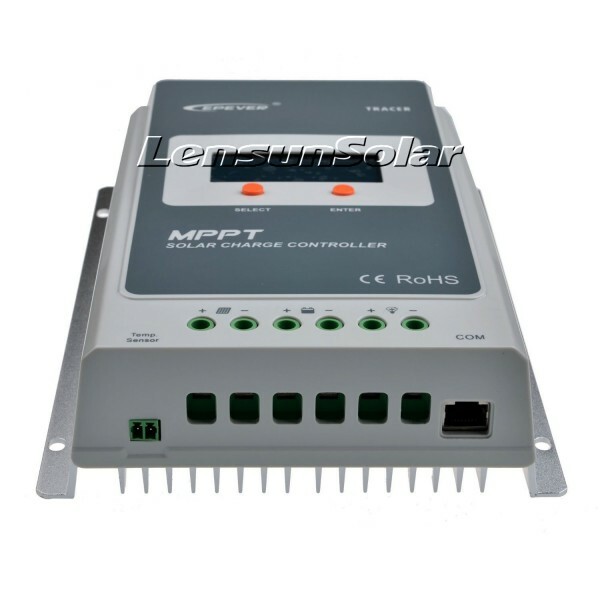 The maximum allowed input solar power for this controller is 260W (when charging 12V battery) or 520W (when charging 24V battery). 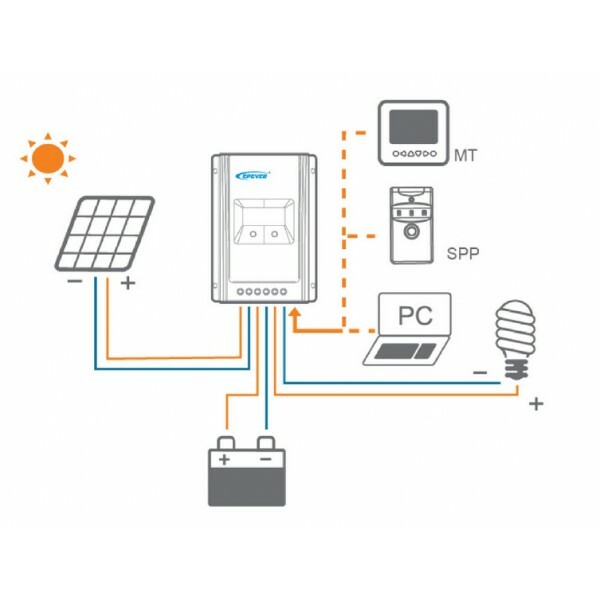 Other features include dual timer function for load work, "dusk to dawn" settings, LED indicators, a temperature sensor for charging adjustment and RJ45 connection socket for a remote meter (can be purchased separately - have a look at our Remote meter / monitor for MPPT Tracer solar controllers). 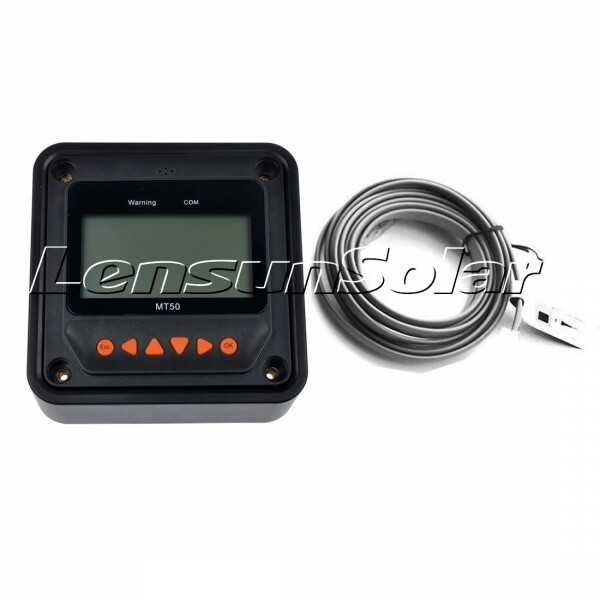 The controller comes with a remote LCD meter with 2m cable. 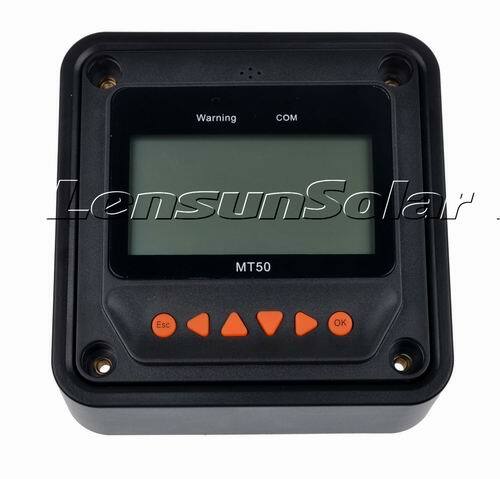 This meter can display various charging parameters such as voltage, current (separately for solar panel / load) and the state of charge of the battery. 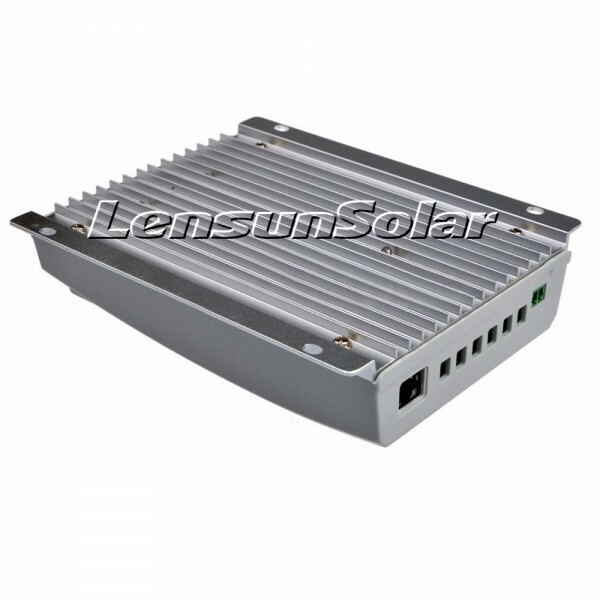 It can also record accumulated battery capacity and min / max voltage.